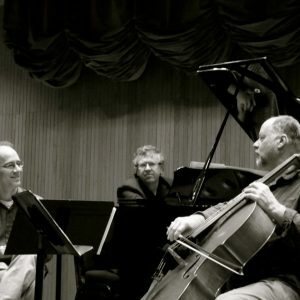 Raised in Halifax, Nova Scotia, Paolo Bortolussi has performed throughout North America, Europe, and Asia. 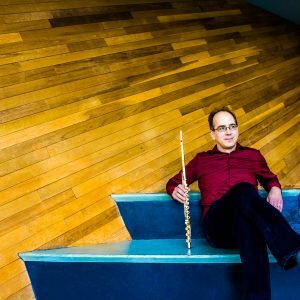 As a specialist in contemporary music, Paolo is the flutist and co-artistic director of the Nu:BC Collective, a new music ensemble in residence at the University of British Columbia. To date he has premiered over one hundred and fifty solo, chamber, and orchestral works. 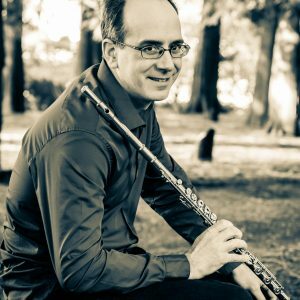 Currently principal flutist with the Vancouver Island Symphony, Paolo has appeared as soloist on multiple occasions with the VIS, the Albany (NY) Symphony Orchestra and the Turning Point Ensemble, and has premiered concerti written for him by Jocelyn Morlock, Aaron Gervais, and Dorothy Chang. Paolo is on the music faculty of the University of British Columbia, Kwantlen Polytechnic University and Trinity Western University. He holds a BMus degree in performance from the University of Ottawa as well as Masters and Doctoral degrees from Indiana University. Flutist Paolo Bortolussi is a soloist, chamber artist, and new music pioneer. Take advantage of these photos for all press coverage for Paolo Bortolussi and his work.